The Bombers’ current field opened in 2009 to much fanfare and stands opposite the now-flattened original. It may not be the House That Ruth Built, but many elements of the new arena—the limestone exterior, the gatelike frieze around the top—mimic the old, while cup holders at every seat and a high-def scoreboard are noticeable improvements. A museum behind right field aims to hold signed baseballs from every living Yankees player, but the most potent relic wasn’t allowed to stay on site—in 2008 the construction staff jackhammered out a Red Sox jersey a rival fan tried to install in the structure’s foundation. I'll never like a Yankees game as much as Mets game, they just take baseball way too seriously! I want kiss cam! haha But its hard not to have a nice time at a baseball game! Yankees stadium is a really nice facility, they get you in and out as fast as they can, lots of different food options (although I wish they had everything at every stand, so you don't have to walk all over the place looking for what you want!) Easy enough to get to, definitely worth a visit even for non-sports fans! A summer must-do! There's really not a bad seat in the house and the stadium is a quick trip from Manhattan. It doesn't get any more American than baseball. 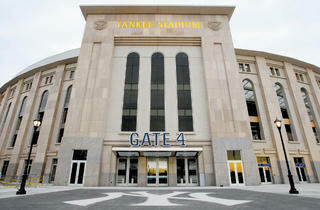 For a true New York experience, be sure to catch a game at Yankee Stadium. Whether you are a huge baseball fan or not, this is a must on any visit to New York. There are several tours of the stadium including a birthday bash private tour. It’s super easy to get there using public transport and once you are there you’ve got many food and drink choices. Have a cold beer, a Johnny Rockets burger, Brother Jimmy’s BBQ sandwich, or Dunkin’ Doughnuts coffee. There is much, much more to munch on while taking in a game of America’s favorite past time. You've got to check out a Yankee game with the far more superior New York baseball team ;) Regardless if you are a Yankee fan or not, you are still guaranteed to have a good time at the game. Tickets start at $10 in the outfield, which is very affordable. The stadium is easily accessible via public transportation. No matter where you are sitting, you can watch the game in the big screen and enjoy yourself. There are bars throughout the stadium and some bars even offer speciality cocktails. There are popular eats on the main level, like hale and hearty and Nathan's! Be sure to check out a game during the summer. thou new house that ruth built rocks! If you're visiting NYC during the summer attending a Yankee's game is a must. The stadium is beautiful so even if you can't get in for a game, go to check out the stadium. Make sure you check online for what you can and can not bring into the stadium. They do NOT have lockers on site at the stadium. However, there are a few locations at team stores and garages near by that you pay $10 to store your stuff. The team store seems the most legitimate spot to store your stuff but it fills up quickly so get there early. My friend had to store her bag in the parking garage lockers which were pretty sketchy. They were gym lockers/waterpark lockers in a parking garage. Not ideal, but worked. As you'll find with most sporting arenas they are not the most gluten free friendly. However, I was pleasantly surprised to see Redbridge behind the counter. They don't serve them at all beer counters but you can find them at the specialty drinks and cocktails bars. Yankee Stadium is the best place to be in the Bronx! Always recommend taking the subway here if you can because parking garages nearby are expensive and traffic is pretty intense. Plus if you want to enjoy a few brews at the game you won't have to worry about driving home. This stadium has everything you want and more. Tons of great restaurants, bars and activities inside the stadium... and obviously the baseball is a plus! Always a great time with friends & family! You can't come to NYC during baseball season and not see the Yankees play! 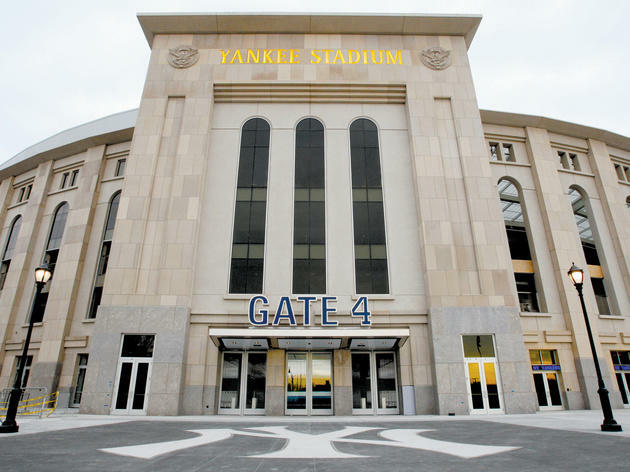 Located in the Bronx (an easy commute from Manhattan on the B, D or 4 trains), Yankee Stadium has so much history to it, as well as a fun environment to watch the Yankees play. It was recently redone a few years ago and got a major face lift. Tickets are very expensive - but you can get nosebleed seats at a cheaper price. Expect to spend a lot of money on food and beer; stadium food is always expensive! The House That Greed Built.